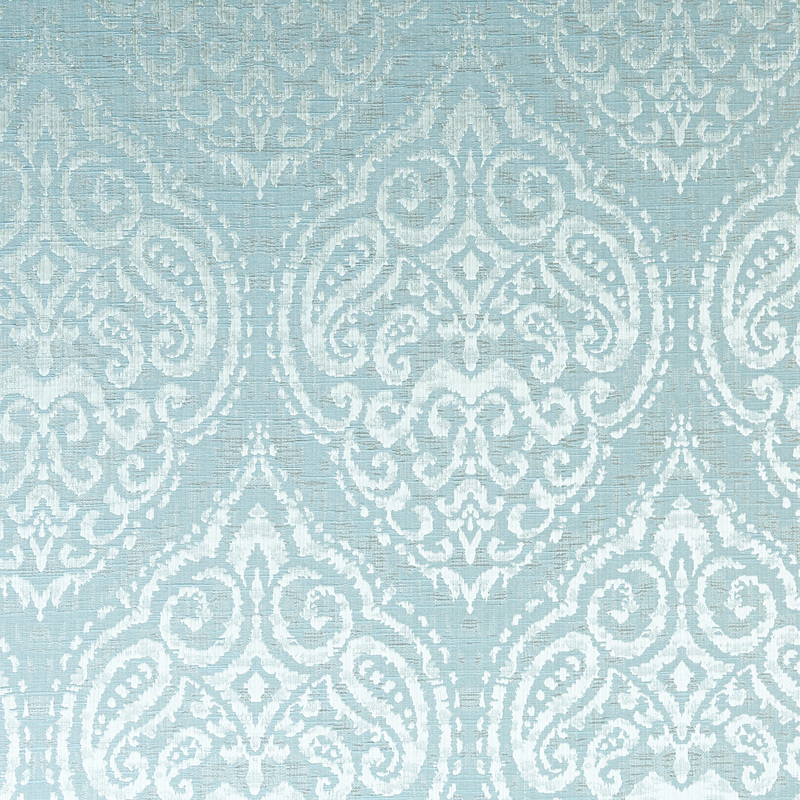 The Emotion furnishing fabric has a traditional damask print with a light texture to the touch. This light blue shade lightens and brightens even the darkest of rooms, but still adds a cozy feel. Available in Calico, Marine and Sterling.